Watch this webinar to learn about how to craft a strong session proposal for the 2019 Conference for Community Arts Education. Join the Emerging Leaders Network for a webinar. As emerging leaders in arts education, we have both great potential and an immense responsibility to move the field forward in new, inclusive, and innovative ways. In this article, three delegates with unique perspectives describe what they are taking away from their time in Baltimore, and how it will shape their work in the months to come. The Guild’s 2018 Conference for Community Arts Education focused on the role of artists as leaders—in neighborhoods, organizations, and communities. This article contains a few excerpts from our conversation with inspiring community artists. The 2018 National Guild Service Award recognizes Daniel Windham's remarkable service to the field as a dedicated Guild trustee and officer, as well as through his many contributions in field leadership positions. 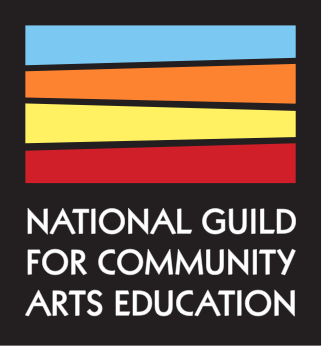 Guild members and Conference attendees have access to the slides, handouts, and resources shared during the 2018 Conference for Community Arts Education in Baltimore, MD. Following his plenary speech, The Art of Leadership (An Ode to Ella), Carlton Turner sat down with Cristy Johnston Limon, executive director at Youth Speaks. Hear from several key Baltimore figures—including Leslie King-Hammond, Kibibi Ajanku, Brayaira Simms, Loring Cornish, and Charles Funn—who are shaping arts and activism in the city. As part of the Opening Plenary for the 2018 Conference for Community Arts Education, Loring Cornish, a mosaic and mixed media artist from Baltimore, described his path as an artist and how the city of Baltimore has inspired his creative output.